SKJALD-, the form taken by skjöldr in COMPDS: skjald-blætr, m. a shield worshipper (? ), Yngl. S. (in a verse). skjald-borg, f. a ‘shield-burgh,’ wall of shields, an old battle array, Ó. H. 206, Nj. 274, Eg. 92, 532, Fms. ii. 319, vi. 416, 418, vii. 262, described in Har. S. Harðr. ch. 117 (Fms. vi 413). skjald-fimr, adj. quick with one’s shield, Lex. Poët. skjald-hvalr, m. a kind of whale, from its particoloured skin, Sks. 124. skjald-kona, u, f. = skjaldmær, Lv. 63. skjald-kænn, adj. = skjaldfimr, Lex. Poët. skjald-mær, f. a ‘shield-maid,’ amazon, Akv. 17, Al. 121, Fas. i. 140, 177, Odd. 22, 26. skjald-rim, f. the ‘shield-rim,’ i. e. the line of shields along the gunwale of a ship (skip skarat skjöldum), Orkn. 104 (in a verse), Fms. vi. (in a verse), xi. 140 (read. skjaldrimna). skjald-steinn, m. ‘the ‘shield-stone,’ the upper stone of a hand-mill (? ), Gísl. (in a verse). skjald-sveinn, m. a ‘shield-boy,’ shield-bearer, Sks. 705, Korm. 118, Stj. 631. Silver figurine discovered in Harby, Denmark, in 2012. The figurine appears to be a woman holding an upright sword in her right hand and a shield in her left. “There were once women in Denmark who dressed themselves to look like men and spent almost every minute cultivating soldiers’ skills. …They courted military celebrity so earnestly that you would have guessed they had unsexed themselves. Those especially who had forceful personalities or were tall and elegant embarked on this way of life. As if they were forgetful of their true selves they put toughness before allure, aimed at conflicts instead of kisses, tasted blood, not lips, sought the clash of arms rather than the arm’s embrace, fitted to weapons hands which should have been weaving, desired not the couch but the kill…” (Fisher 1979, p. 212). A photograph of "Valkyrie" (1834-1835) by H. W. Bissen (1798-1868), housed at the Ny Carlsberg Glyptotek, Copenhagen, Denmark. Other arguments to the contrary suggest that fighting weapons found in female graves such as axes, spears and in some instances arrows are obviously confusing to those biased against the notion of the amazon Viking Age warrior to understand. The existence of axes in these graves they argue might reflect the need for the woman to have her axe, useful for cutting up meat, with her in the grave. These axes might not be weapons as such. Or they might be symbolically placed in the graves referring to Mjöllnir, the hammer of Thor. Some of these axes were very old and appears to be heirlooms. One could counter argue till the cows come home but the archaeology strongly suggest the contrary, that there is a probability for the existence historical of the Skjaldmær or Shieldmaiden.The archaeological evidence until very recently was tentative and hampered by the fact it was originally assumed by many scholars that women could not be buried with swords. If a woman was found buried with a sword, it was as if by default presumed that the second male skeleton had somehow gone missing. There have been female burials in Kaupang where arrowheads and small axes were found but the vast majority of female graves have only contained things which are relevant to the female sphere such as weaving and spinning implements . 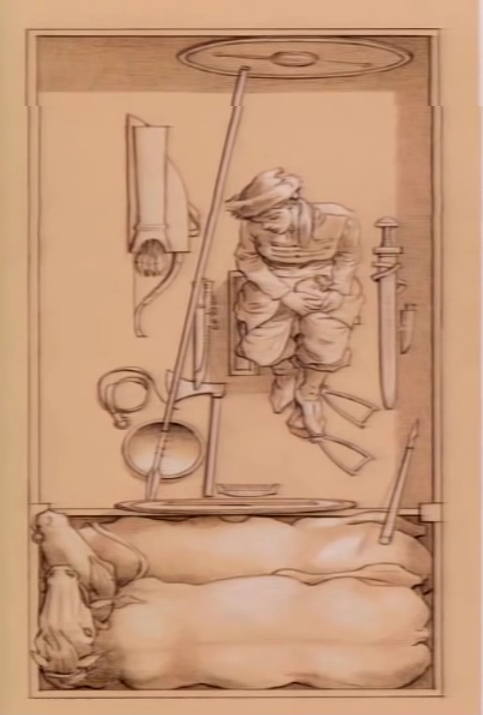 And even if a woman was buried with a sword, this does not mean she actually used in warfare. There are no representations of women with swords or in battle. Or perhaps after or during the funeral the bereaved also threw spears or axes into the graves in order to keep the women from haunting the living? Poor argument that one. 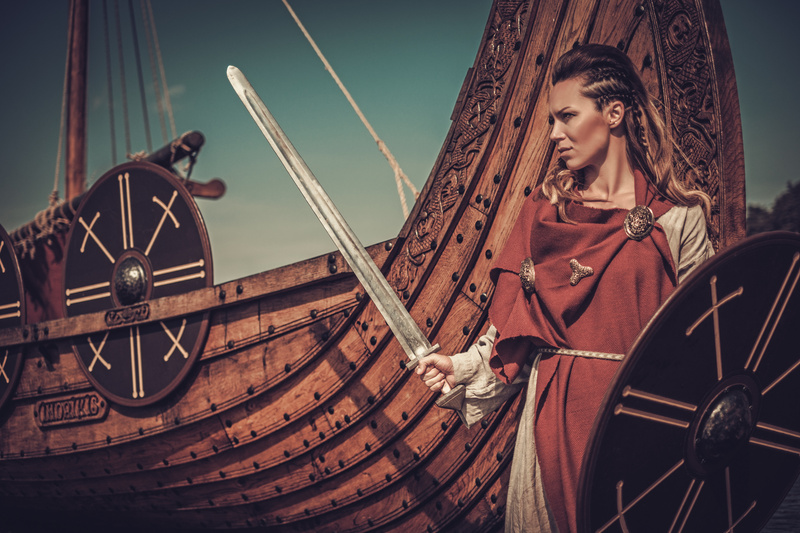 But we have also to take into consideration that as we find stronger arguments to suggests these women warriors existed during the Viking Age via better methods of discerning funerary evidence such as identifying a females instead of a male buried in a warriors grave, we should stop making excuses to support that old Christian bias that women are not warriors. In this special, Michael Hirst, the creator and writer of the TV series Vikings, together with a number of scholars, provide some historical background for the show. In particular, the special focuses on shield maidens, the great halls and Viking ships. Prof Neil Price puts forward some very compelling arguments based on archaeology and funerary forensic evidence that Viking Age shieldmaidens did exist during the late Iron Age. A shieldmaiden was a woman who had chosen to fight as a warrior in Scandinavian folklore and mythology. Something about a woman who wields a sword well that so appeals to me. The Grágás or Grey Goose Law is the name given to the laws which were used to govern the Icelandic Commonwealth until some where around 1262-1264CE. It consisted of six sections, the fourth of which was “The Wergild Ring List”. Wergild, was the reparation paid by an individual to compensate a family or clan for theft, injury or death. The revision of these laws of 840CE makes various provisions, including for the payment of Wergild by Skjoldmø. The nearest translation of Skjoldmø is “Shield Girl”, but it is important that we do not confuse them with the popular fantasy figure of the “Shield Maiden” (think Opera's Brunhilde) but rather honed professional warriors, given rights, privileges and status of their own within Norse Culture. In Hrolfs saga Gautrekssonar, the only child of King Eirikr of Sweden is Thornbjorg, who "spends her girlhood pursuing the martial arts". Her father provides her with men and lands; and she adopts male dress and name (Thorbergr) and is known as king. (quoting “Maiden Warriors and Other Sons”) These girls were often from noble families (such as Freydis Eiriksdottir, who voyaged to America with her Father Eirik the Red. She and her brother Lief both commanded ships on this voyage) and that was likely to do with the environment of their birth (adequate food, warmth, etc.) being far more conducive to their growing to be strong and healthy. Certainly most of those mentioned by name as captains, were from noble families, but then, so were most of the men. "There were once women in Denmark who dressed themselves to look like men and spent almost every minute cultivating soldiers' skills." He goes on to discuss these women in some detail and was clearly fascinated by them. However, he also appears to have been quite the fan of classical literature and this is betrayed by his tendency to mix the Norse tales he was told with Greek Amazon myths. For those who may be interested, Birgit Strand discusses this in depth in her book “Women in Gesta Danorum”. The valkyrie (ON valkyrja or "chooser of the slain") who are a host of supernatural female figures go to those who may die in battle and sometimes to those who may live. The role of these supernatural shield maidens in Norse mythology is to select who dies on the battlefield and guide their souls to Odin’s manor, where they will spend the afterlife training for the Twilight of the Gods, the final battle against the forces of chaos. After each day’s combat training, a mead-hall party with drink and reincarnated pork ensues, with the Valkyries waiting the tables. But I cannot help but wonder if these carrion bearers (correction cadaver) are soul reiver's rather than how the myths portray them as, collectors of dead warriors? Dead bodies, absolutely nothing romantic or heroic about rotting flesh? We have had very few period depictions of armed women. 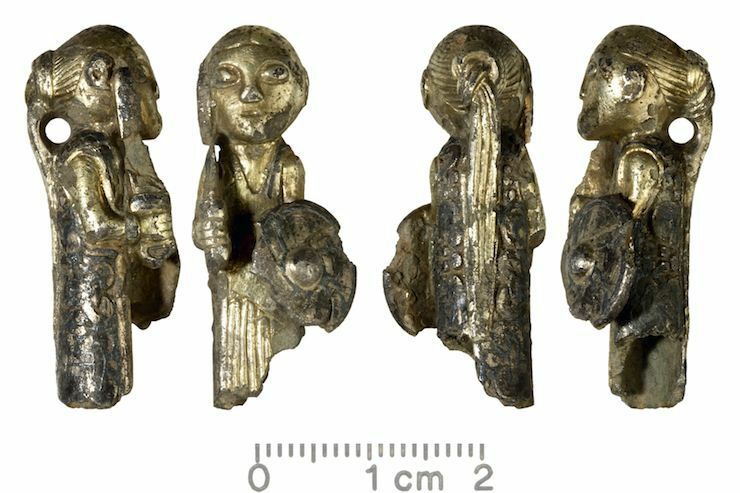 Instead scholars have applied the term “valkyrie” to a common Late Iron Age motif of a usually unarmed woman who offers up a mead cup or horn, sometimes standing alone, sometimes to an armed man, who is often on horseback. A more cautious term for this motif is “the greeting scene”, and there is reason to link it to beliefs about what would happen to men in the afterlife (cf. houris). But there are armed women embroidered on the tapestries from the AD 834 Oseberg ship burial, and a small group of brooches shows them in 2D relief . Thanks to Danish amateur metal detectorists, that group is growing steadily.